Feathered hair has come a long way since the 80s. Current trends for feather cut hair include long layers, messy layers, and wispy bangs. Basically think of feather cut hair as layered hair and how “feathered” it looks comes for the styling. 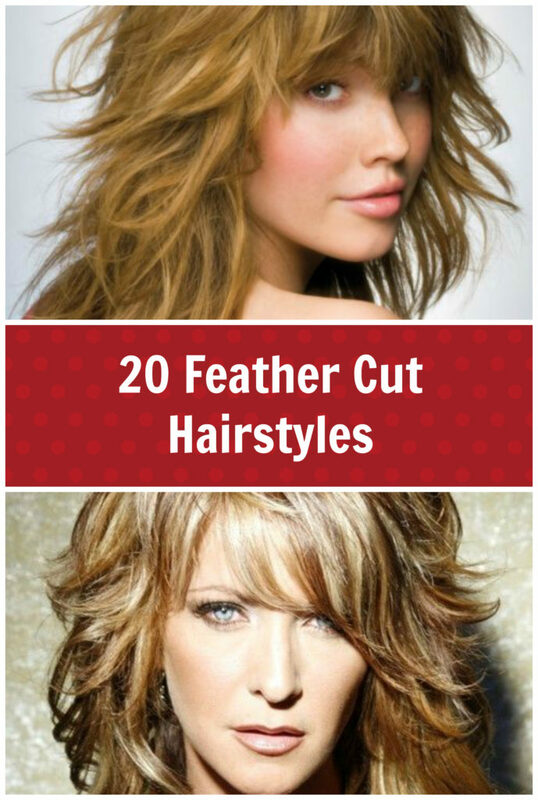 Here are a selection of feather cut hairstyles so that you can find the cut that might be perfect for you whether you have short, medium, or long hair. Short hair always looks good with a feather cut. The layers add texture and movement. In the photo below, layered bangs are feathers to the side and layers can be spiked to add interest. This photo is an example of a feathered hair style in which the layers are dramatically swept to the side. 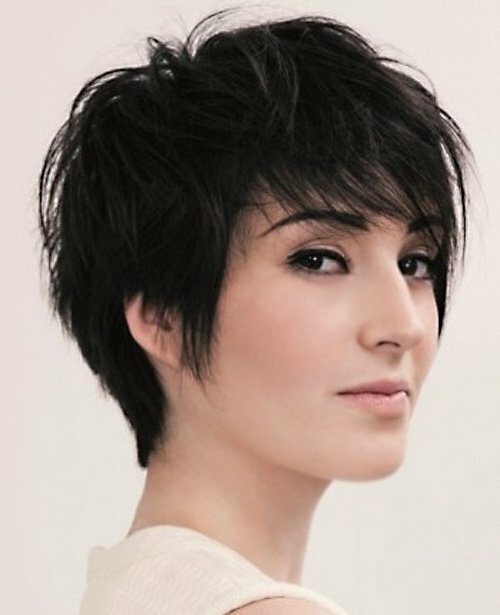 In this pixie cut, feathered bangs add softness to the over all look and style. The next photo provides a more modern update on the feather hair cut with soft layers that are lightly swept back. 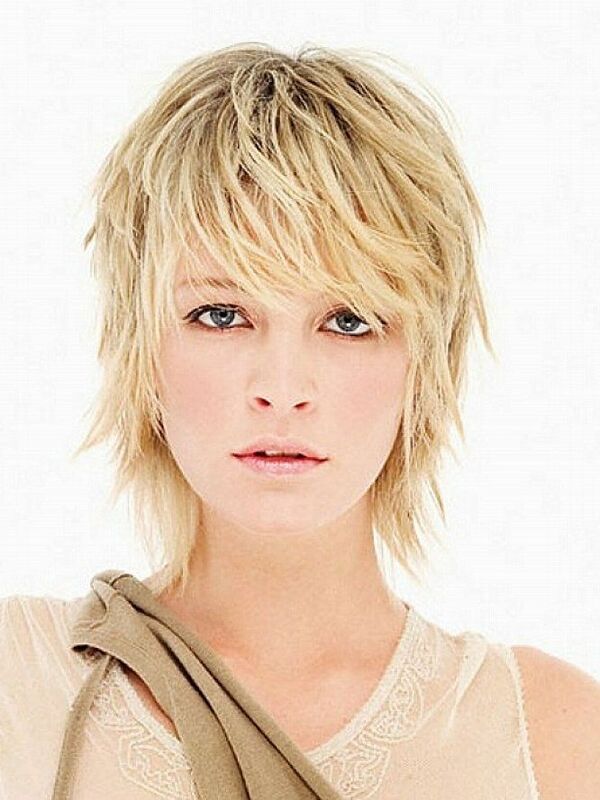 This fringe pixie cut feature feather cut hair that nicely frames the face. Medium length hair is very versatile and feather cut hairstyles work particularly well with medium hair. The below hair cut is an updated look on the classic feathered hair cut with many layers that are feathered back, but yet kept loose and free flowing for a less structured look. This modern and edgy look features straight hair with just a touch of layers feathered on top. Here hair is reverse feathered. The hairstyle if done to bring the hair inward to frame the face, while the band are kept straight. In this look, the bangs are feather styled, while the rest of the hair is curled. It provides a little more conservative and classic hairstyle. Here is a classic feather cut hairstyle with many layers and lots of feathering. But with modern color and extra texture, it does not look dated. 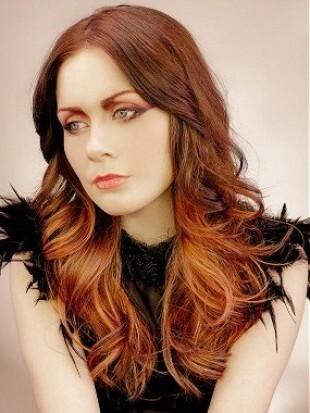 This trendy feather cut puts the focus on top to frame the face and then leaves some long layers for interest. Here is another classic feather hairstyle with feathered bangs and soft curls. Long hair does best with softer feathered looks at the ends, or with feathering in the cut of the bangs but not in the remainder of the hair. For example, the long feather cut style below focuses on the ends, while the bangs are straight. Here, long layers are softly feathered. This is another exmaple of layering only toward the ends of the hair. The top is kept flat. In this case, the bangs are sideswiped in a light feather, but the rest of the hair is uniform in length and curled. Here is an example of overall layers for longer feather cut hair. In this instance the hair is not particularly feather cut, but it is styled so that the curls give a feathered appearance. Clearly, whatever your hair length, short, medium, or long, there is a a feather cut hairstyle that will work for you. The cut flexible and provides for multiple different ways to style the hair, which is nice for creating different looks. Many of these cuts are quick and easy to style as well, especially in the shorter and medium versions.